Gatwick to Victoria Station Taxi – Gatwick to Victoria Station Taxi Service: Victoria Station is one of the most famous symbols in the capital city of the United Kingdom. 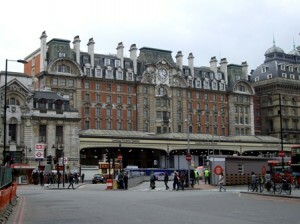 Its popularity is mainly due to its location and also for the regular journeys that lead to Gatwick Airport. However, Victoria Railway Station and Victoria Tube Station can also take you to other important areas in London like Brighton. Another great fact about it is that it can provide you not only the necessary means of transport around town, but also nearby accommodations, beautiful views and close touristic objectives, shops and all other kinds of cultural and entertainment venues. Let us show you some examples, before you read the recommended Gatwick Airport transfers to Victoria Station area. It is very important to do a thorough research before heading towards a destination, especially if it is unknown town/country or if represents a great part of your holiday. In order for it to turn into a successful one, you should keep in mind that the perfect balance is a one that takes into consideration the prices, the comfort and also the location. Some of the most accessible hotels situated in the vicinity of Victoria Station are: The Grosvenor Hotel London and DoubleTree by Hilton London – Victoria. For a complete list, you can browse through those last minute offers or for the city break promotions. In case you are not traveling with your family or you are a visitor that does not have a big budget for accommodations, but only for touristic objectives and the local cuisine and beverages, we advise you to look at the more decent hotels or B&B in the area. You can give up on a luxurious swimming pool or spa and enjoy a great theatre play, for example. In order to get a Gatwick to Victoria Railway Station Transfer by rail, you have the train from Gatwick Airport, Gatwick North (every 5 minutes), via Gatwick Airport (every 10 minutes) and then just have a 3 minute walk. This whole journey takes about 39 minutes. Another option would be to take the bus from North Terminal Bus Station (every 10 minutes) via West Kensington, Empress State (every 5 minutes – line 430), then the Tube from South Kensington Underground Station (every 5 minutes) and finally enjoy a short walk of 5 minutes. This journey will take about 1 hour and 29 minutes. A Gatwick to Victoria Station Transfer by car can be done by taking the M23 motorway and then the A23 one. Gatwick Airport is at an 28.1 miles distance from Victoria Station. This journey will take about 53 minutes, without including traffic. A Gatwick to Victoria Station Taxi with 247 Airport Transfer is going to take about 1 hour and 21 minutes, including rush hour traffic. The price for a Gatwick to Victoria Station Taxi starts from 58 GBP.